If writing is an art form, then the various types of format represent the different types of canvas upon which an artist can paint their story. One of the most challenging types is the novella. With a novel, the author has the opportunity to really explore their subject matter and their characters over the course of many pages. With a short story, the author is given some degree of leeway in providing less character and plot development for the sake of brevity. A novella is a hybrid of the two. It is expected to be shorter than a novel, but more involved than a short story. The author must develop their characters and tell their story without using too much page space. It is for these reasons that I am often very impressed when I come across a novella that truly captures my attention and does not leave me disappointed by the end. 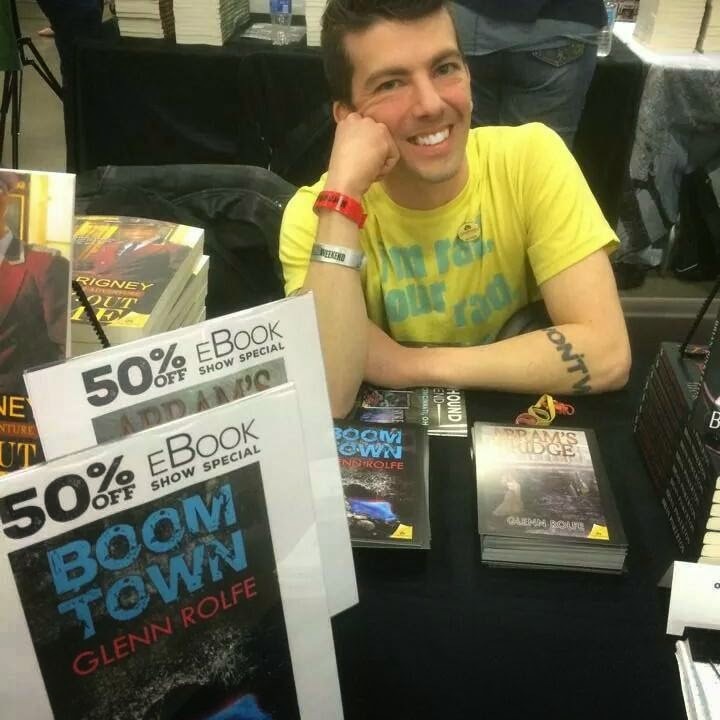 Boom Town by Glenn Rolfe is a great find that avoids all of the potential pitfalls of a novella. The story is very tightly written, but still provides us with characters we care enough about to grip us throughout the novella. The author’s use of having the two protagonists thinking of themselves in terms of another book’s characters provides an added layer of connection to the characters that might not have otherwise been possible in such a short period of time. The descriptions of the terrifying events that unfold is written to perfection and I would have sworn I was reading a short story simply because of the story’s fast-paced narrative that left me finished before I realized it. At the same time, the story does not leave the reader hanging, but provides a great ending within the framework of everything the author had written up to that point. 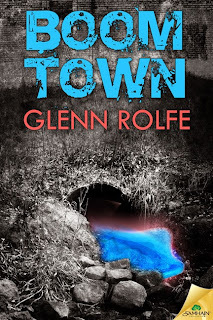 The horror and tension is high throughout the entire story and there is plenty there for both gore hounds as well as those who like atmospheric scares. Perhaps the biggest issue I had with this book is how hard it is to tell about it without giving too much away. The narrative is so tightly woven together that to reveal any pieces beyond the synopsis already given on the book itself is to risk giving away key elements of the story. 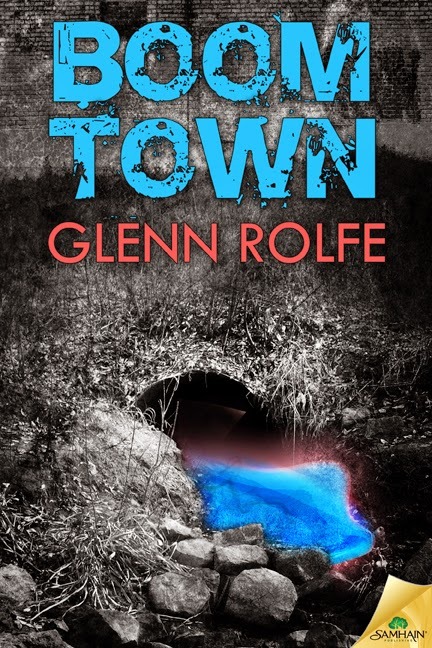 I don’t recall the last time I enjoyed a novella nearly as much as I did Rolfe’s Boom Town. I was instantly grabbed and yanked through the story, but the ending didn’t leave me unfulfilled as a reader. So all that being said, what the Rage score? Overall – 4.7/5 – BRAVE THE OOZE AND EXPLORE BOOM TOWN YOURSELF! He is the author the ghost/mystery/thriller novella, ABRAM&#039;S BRIDGE (Samhain Publishing, Jan. 2015) and his latest novella, a Horror/Sci-Fi mash-up, BOOM TOWN (Samhain Publishing). A full-length novel, BLOOD AND RAIN, will come out this Fall from Samhain Publishing and THINGS WEFEAR, a novella, is set to publish from Samhain in 2016.His debut novel, THE HAUNTED HALLS (James Ward Kirk Publishing, 2014), is available now, as well as his short story collection, SLUSH (Alien Agenda Publishing, 2014).Look for his punk rock band, The Never Nudes, on Amazon and Facebook.